We were contracted by the Department of the Treasury to conserve the Reproduction Liberty Bell. 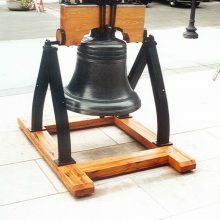 The bell was transported to us’s studio for treatment. The bell was completely disassembled to facilitate the paint and corrosion removal. Existing coatings were removed from steel/iron elements by immersing them in a tank solution of hot caustic (potassium hydroxide). 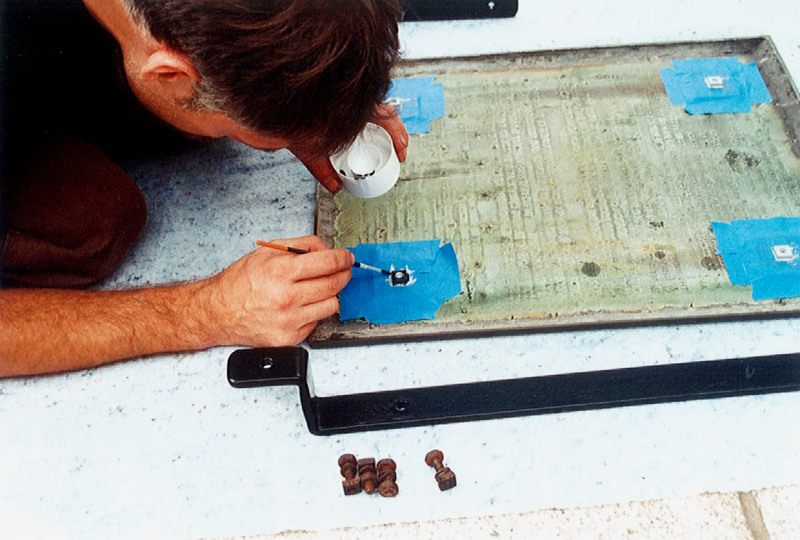 The pieces were rinsed, force-dried to minimize flash rusting, coated with a powder coating system and oven-cured. 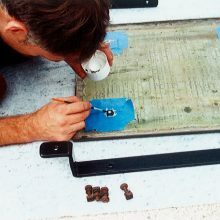 Old coatings were removed from the bronze elements using a solvent-based paint stripper and steam. Bronze surfaces were washed with a non-ionic detergent and loose corrosion products were removed using soft bronze wire brushes. Areas of uneven color in the existing patina were modified using a tinted black wax. The client determined the plaque should be patinated green to match the color of the bell. 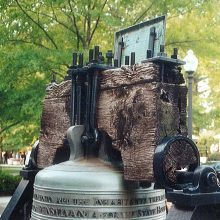 The bell and plaque received two applications of wax applied to a heated surface. 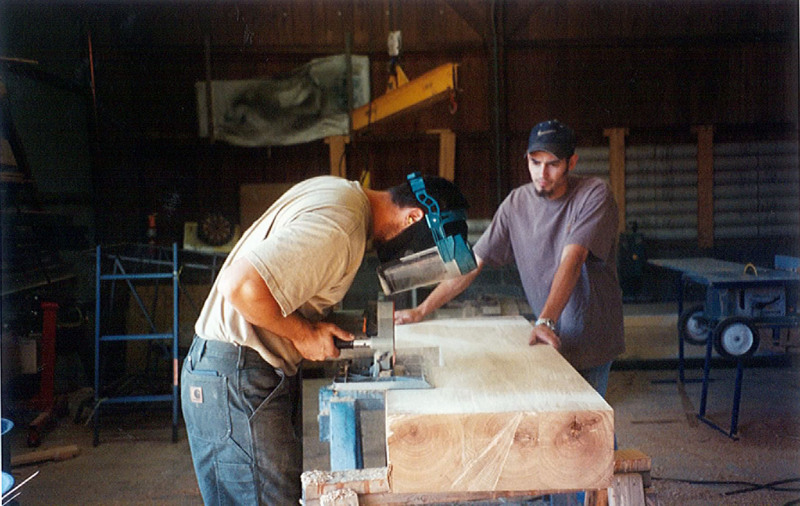 The yoke was replicated using reclaimed elm lumber. Due to its extreme scarcity, disparate pieces were laminated together to achieve the appropriate dimension. To reduce water ingress, the yoke was sheathed with a lead-coated copper cap. 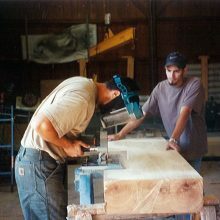 The base was replicated in chestnut with mortise and tenon connections used for all joints. 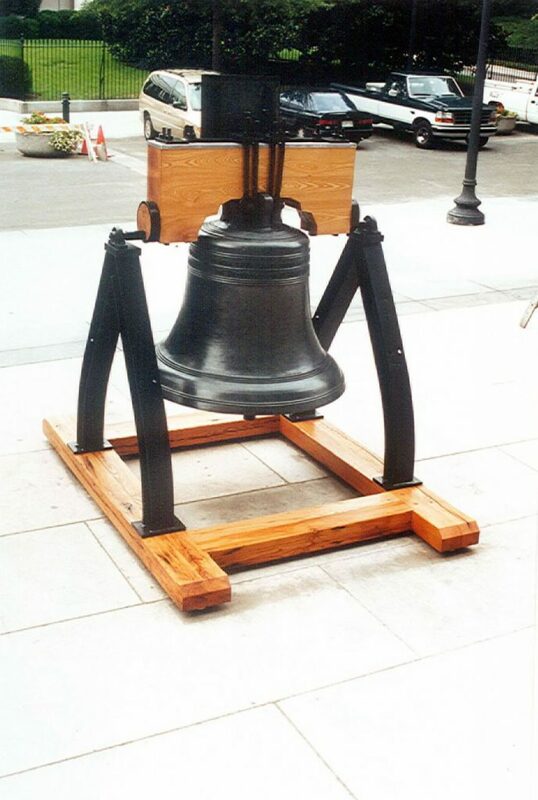 Steel straps were fabricated and installed to stabilize the bell, as was a custom HPDE stop to prevent movement of the bell clapper.